It’s that time again in Belfast, when you are guaranteed to see nothing but keen runners out on the streets morning, noon and night. Yes, it’s Belfast Marathon time when thousands of runners take to the streets on May Day come rain, hail or sunshine – usually one of the latter since we’re in Northern Ireland. This great day out has become a fixture on the calendar for both the serious marathon enthusiasts and the many amateur runners who take part in the team relay. In 2014 there were close to 4000 participants who enjoyed a road run in glorious sun shine. For the last five years our manager, Nora Douds, has entered 3-4 relay teams’, raising money for various charities from Parkinson’s UK to the Children’s Kidney Fund. In 2015 the official charity of the Belfast Marathon is Marie Curie with many relay teams running in support of this wonderful body who provide support for people with terminal illnesses in Northern Ireland. People run marathons for many reasons – for some it’s a once in a lifetime event, for an elite few, the serious athletes, it’s an opportunity to win and for others it’s another marathon completed in a long list of marathons. There is no doubt in my mind that running 26.2 miles is an amazing feat and one to be celebrated. 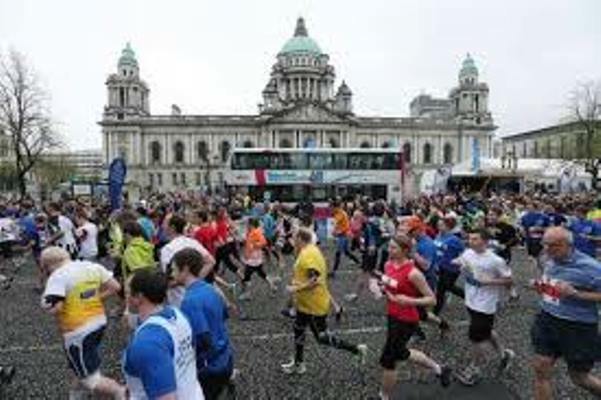 The Belfast Marathon has also become a great team relay event and there are so many reasons why it has become so popular with fun runners. For our teams it’s a day to get together to run as part of a team while raising money for a worthwhile cause. Not all are serious runners but they all set themselves a goal to work towards whether a quick 3.1 mile in the glory, finishing leg or the punishing 7.2 mile run up the Antrim Road. The team spirit created is invaluable – our team member’s sense of achievement at the finishing line is exhilarating, even in the pouring rain! The whole process has the great added benefit of making exercise a fun and social activity. The discussions of running times, team finishing times and the excitement of the day last long into the evening. Of course the celebration BBQ with drinks is always a great way to enjoy the success of the day. Belfast Marathon day has had a great impact on the team spirit of our company, Tara Lodge Belfast. The owner of Tara Lodge, Conor O’Donnell is a regular participant, our chef Colin Douds a leading fixture, our manager Nora, the chief organiser and regular team mate and Pauline McCullough, our Front Office Manager is also an occasional team athlete. Our breakfast waiter Dave Quinn ran the whole marathon in 2011 – a feat not yet matched by any of our Tara Lodge team but as they say, never say never….. The Tara Lodge hotel team has benefited greatly on a personal level from the Belfast Marathon. 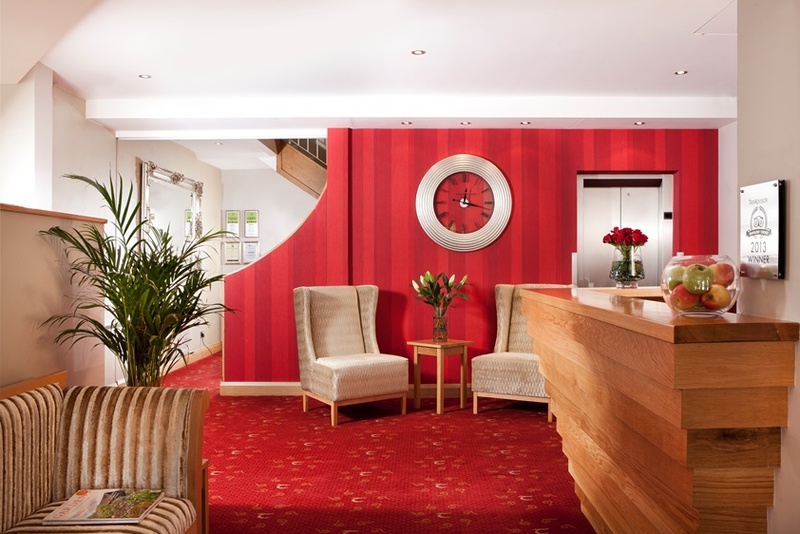 At Tara Lodge hotel we know that this race is a marathon not a sprint. Are you taking part in the Belfast Marathon this year and need a place to stay where we understand your needs as an athlete? If you would like to benefit from the wonderful team spirit and customer service that our Tara Lodge squad provide why not book one of our boutique hotel bedrooms. We still have some rooms available on Sunday 3 May, the night before the race and we can offer you some of our famous Power Porridge with banana and honey that will provide you with rocket fuel for the race. Why not book with Tara Lodge later this year to experience the great, award winning team spirit that we offer for the benefit of all our great guests. Contact 028 9059 0900 for a pep talk or beat the rest by booking online.